For the best possible corrosion resistance and elimination of electrolytic reaction, the use of stainless steel and aircraft grade aluminium are typical. Wire and End Fittings are supplied in Stainless Steel (304 or 316, plus 321S Marine) as standard to avoid potential issues with galvanic corrosion of dissimilar metals. Alternative optional materials for end fittings are available. 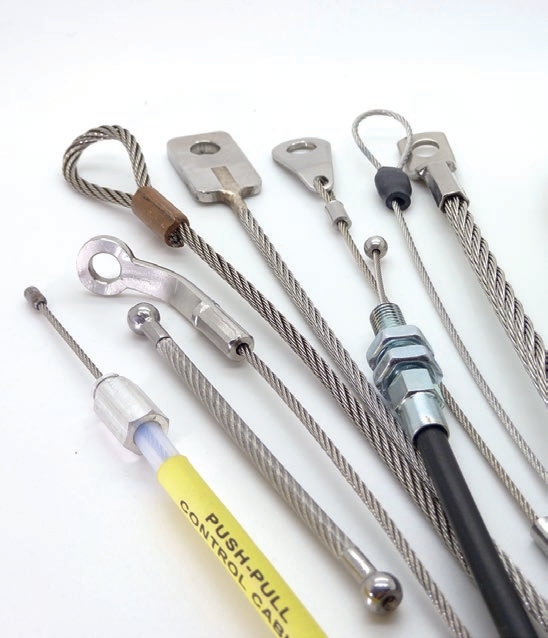 Cable assemblies and wire ropes are manufactured by IS-Cabletec on their site in Weston-Super-Mare (UK) for reduced lead times and small MOQ’s when using standard parts. The in-house capabilities of this swaging service allow us to offer competitive lead times and competitive prices. Quotations for customised parts are also available. Should assembly drawings not be available, we can determine your requirements from a sample.